Have you ever been in a situation where at the end of the month you were short on money and you had no clue what had happened to your funds? The key to your financial future success can be found in a simple life hack. Not only does budgeting help you get in touch with your financial reality but it also helps you keep a close track over your expenditure and your income. Budgeting helps you understand the money flow from within your household. The cardinal principle of a good financial management is to spend less than you earn. Sticking to a budget isn’t a simple task, this is why you need to prioritize your expenditure. The simplest way known to keep a budget is with a pen and a piece of paper, but there are easier ways to track your money. Using a financial management app can be less time consuming and effortless, but you still need to follow some simple principles. Determine your income. Write down the entire amount of money that enters your household on a monthly basis as it is important to know for sure how much money you are really earning. Sometimes your real income can be different than what you thought you were earning. Set some goals, write them down and visualize accomplishing them. Using your imagination to create visions of what you want creates neural patterns in your brain and stimulates you to be effective. Always reward yourself when achieving your goals. 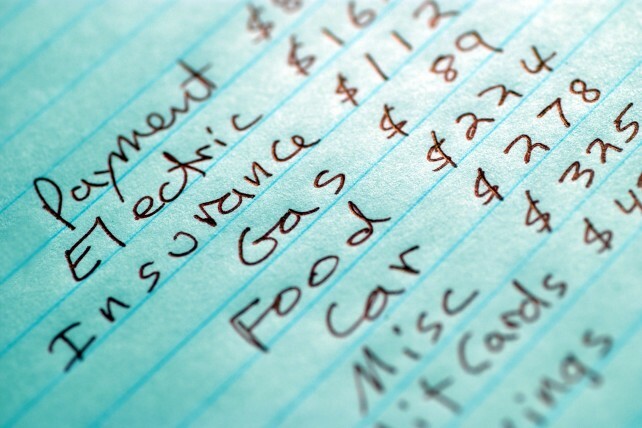 Categorize your expenditure and set the essential expenses and an extras list apart. This way it is easier to cut off the unecessary expenses and save some dollars. Write everything down. It doesnt matter if it is a larger expense or a smaller one, even if you buy a pack of gum, you should write it down. All the smaller expenses add up and at the end of the month an important fraction of your budget goes to thousands of small things. Budgeting brings you a lot of benefits and keeps you from living paycheck to paycheck, helps you get out of debt and encourages you to save for future goals and dreams. ® Copyright 2011-2016 CashControlApp.com. All rights reserved. CashControl® is registered trademark owned by CashControl SRL located in Cluj-Napoca, 21/46 Sarmisegetuza, Cluj, Romania.